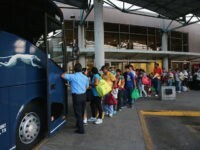 Criminal gangs are charging desperate Venezuelans fees to enter Colombia as growing numbers of people flee the deepening humanitarian crisis in their homeland, according to a report from NTN24 on Tuesday. 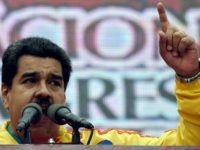 The socialist regime in Venezuela has recently sold $400 million in gold despite U.S. efforts to freeze all its international assets, according to a report from Bloomberg on Tuesday. 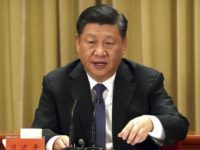 China lashed out angrily on Monday at U.S. Secretary of State Mike Pompeo for criticizing Chinese policy in South America. 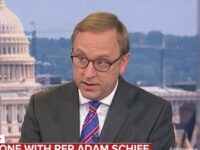 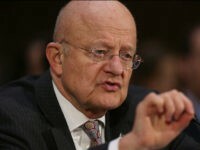 The Chinese Foreign Ministry said Pompeo’s remarks were “lies” and accused him of using “wantonly slanderous, deliberately instigating, irresponsible, and unreasonable” rhetoric. 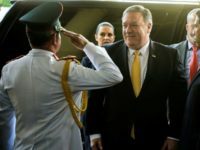 Nicolás Maduro’s top diplomat accused U.S. counterpart, Secretary of State Mike Pompeo, of “shameless cynicism” Sunday following the latter’s call to allow aid into Venezuela. 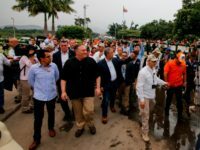 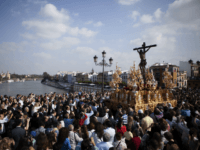 Secretary of State Mike Pompeo concluded a short tour of Latin America Sunday with a visit to Cúcuta, Colombia, a border city Venezuelan dictator Nicolás Maduro blocked off this year to prevent U.S. aid from entering his impoverished country. 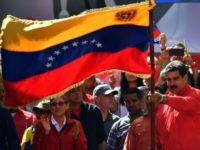 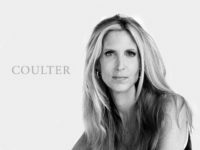 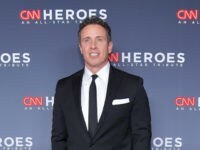 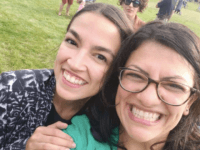 Venezuela’s socialist dictator Nicolás Maduro has triggered the “worst humanitarian crisis in the history of the Americas” with the help of Cuba, Russia, China, and terrorist groups, the executive director of the Foundation for Human Rights in Cuba (FHRC) told Breitbart News Friday. 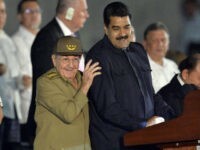 Cuba has invaded and conquered Venezuela, installing tens of thousands of government agents to help the Castro regime profit from drug trafficking, alliances with terrorist groups, and theft of natural resources, the Foundation for Human Rights in Cuba revealed in a report published Friday. 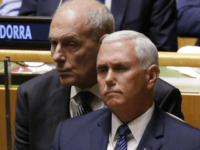 Vice President Mike Pence lobbied the United Nations on Wednesday to remove the credentials of Nicolás Maduro’s envoy Samuel Moncada, citing the illegitimacy of his ruling socialist regime over the troubled South American country. 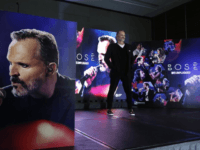 Spanish actor, artist, and pop icon Miguel Bosé – a household name in Latin America for decades – has launched a pressure campaign to elicit action from U.N. High Commissioner for Human Rights Michelle Bachelet that culminated with the singer storming the hotel housing her in Mexico on Tuesday, demanding she break her silence on the crisis in Venezuela. 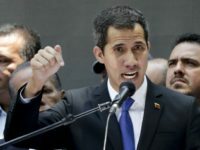 Venezuelan President Juan Guaidó claimed in remarks on Tuesday that he has held “discreet conversations” with military leaders over their continued support for socialist dictator Nicolás Maduro. 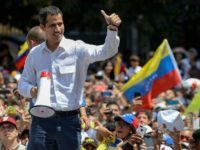 A majority of the Organization of American States’ (OAS) Permanent Council members on Tuesday voted to recognize an appointee by Venezuela’s Interim President Juan Guaidó as the international body’s special representative for the South American country. 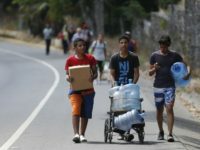 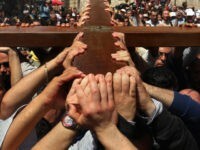 Desperate Venezuelans, a BBC report revealed Sunday, have begun targeting cemeteries for potential income, stealing everything from jewelry to bones that they can then sell on for a profit. 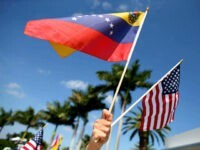 A group of bipartisan Senators has proposed a bill aimed at providing $400 million in humanitarian aid to Venezuela, as well as encouraging more countries to impose sanctions on the country’s socialist dictatorship. 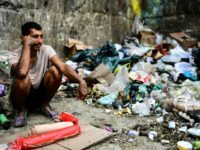 Venezuelans are now experiencing chronic shortages of water as regular blackouts and prolonged power outages continue to choke the country’s basic ability to function, raising further fears about the severity of the country’s deepening humanitarian crisis. 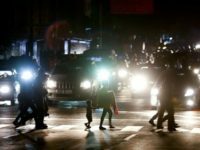 Venezuelan dictator Nicolás Maduro has ordered the population must begin rationing electricity as blackouts and prolonged power shortages continue to ravage the crisis-stricken socialist country. 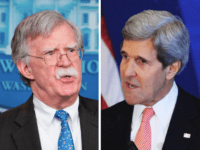 Bolton’s statement is an unmistakable assertion of the Monroe Doctrine — the 196-year-old policy of the United States that it would not tolerate the intervention of outside powers in the affairs of the Western Hemisphere. 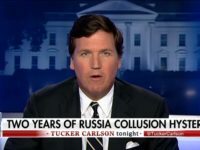 John Kerry declared it “over” in 2013. 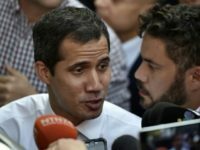 Venezuela’s opposition leader Juan Guaidó has called for fresh demonstrations against Nicolás Maduro’s socialist dictatorship, after the regime barred him from holding public office for 15 years. 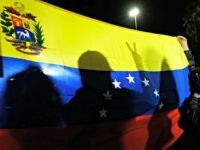 Russia on Thursday defended its decision to send troops to Venezuela to protect socialist dictator Nicolás Maduro from any potential threat, claiming that their actions are “in strict accordance” with the Venezuelan constitution and a bilateral agreement on military cooperation. 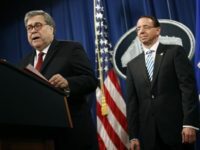 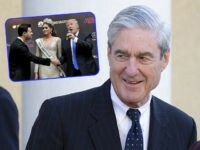 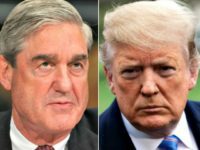 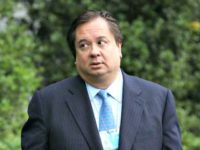 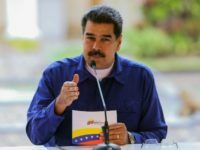 U.S. President Donald Trump’s administration is “seeking new authority to support a democratic transition” away from the murderous dictatorship of socialist dictator Nicolas Maduro that has plunged the South American country into political chaos and starvation, Secretary of State Mike Pompeo told a House panel on Wednesday. 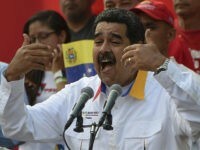 Venezuelan dictator Nicolás Maduro has vowed to arrest “terrorists” undermining his leadership, raising fears that the regime could soon target opposition leader Juan Guaidó and other high-profile politicians. 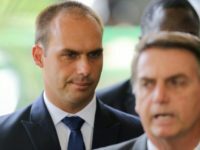 Brazilian congressman Eduardo Bolsonaro, the son of the nation’s president Jair Bolsonaro, said Friday that some sort of force would be necessary to oust the reigning Venezuela dictator Nicolás Maduro from office. 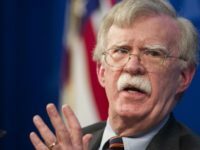 National Security Adviser John Bolton warned the United States may act militarily to protect as many as 50,000 Americans in Venezuela. 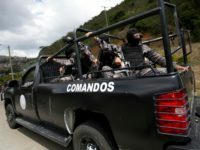 The Chief of Staff to Venezuelan opposition leader Juan Guaidó was kidnapped by intelligence agents during a pre-dawn raid, an indication that the Maduro regime may be preparing to step up their crackdown on leading opposition activists. 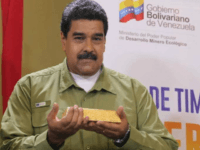 The United States has sanctioned Venezuela’s state-run gold mining company Minerven, accusing them of propping up the country’s socialist regime and engaging in illegal financial activities. 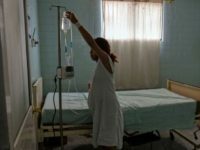 Cuban doctors working in the crisis-stricken country of Venezuela have revealed that the socialist regime told them they must only provide essential medical treatments to those supporting the sham election campaign of dictator Nicolás Maduro. 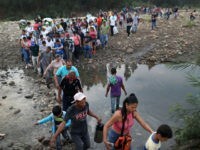 Elliott Abrams is still pushing the U.S. government to welcome migrants from Nicolas Maduro’s Venezuelan dictatorship, according to the Wall Street Journal. 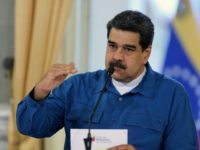 The United States has warned that Maduro regime in Venezuela that it would be a “terrible mistake” to arrest opposition leader Juan Guaidó, as political tensions in the crisis-stricken country continue to mount. 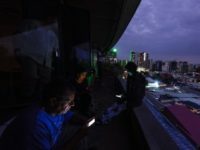 Blackouts and power shortages in Venezuela have now entered their fourth day, as the crisis-stricken country’s economic and humanitarian crisis continues to deepen. 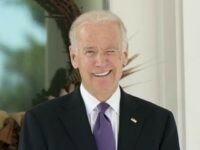 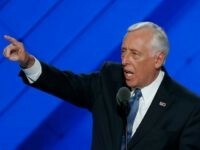 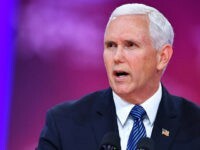 Vice President Mike Pence raised a warning at Friday’s Oil and Gas Association annual meeting against the Green New Deal and Medicare for All as liberals simply embracing a socialist system.